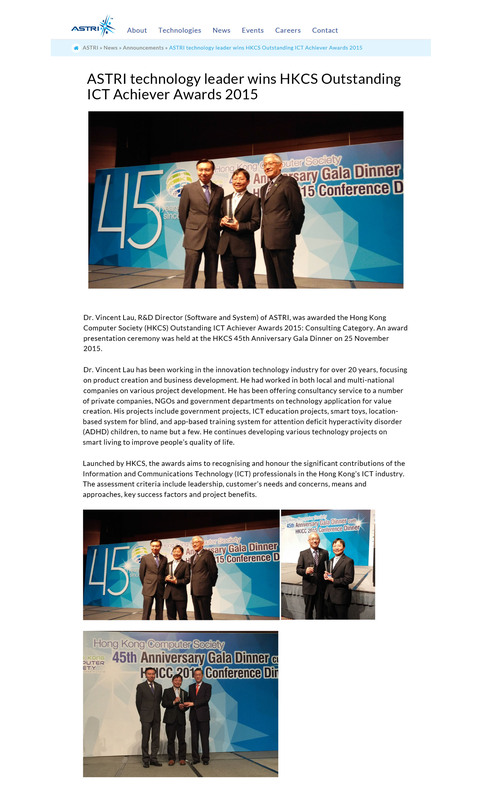 Our Honorary Lecturer, Dr. Vincent Lau, was awarded the Hong Kong Computer Society Outstanding ICT Achiever Award (Consulting) 2015. 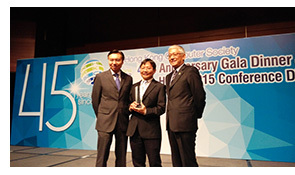 For more details regarding this award and Dr. Lau's work in the industry, please click here. Our congratulations to Dr. Lau for his achievements in the information and communications technology (ICT) industry.